Bulb planting is not a task for the faint hearted. It gives no instant gratification and can be back and wrist breaking work, especially if the soil is hard and compacted, but it is one of those jobs in the garden that provides a reward that far outstrips the effort involved. Even more so if, like me, you have completely forgotten the pain by the time those little shoots start pushing through the soil as early as January. This November I must have planted close to 5000 bulbs in various gardens in London and Surrey. They ranged from tiny crocus and grape hyacinth to the huge exotic crown imperial (Fritillaria imperialis) and everything in between. Planting bulbs at this time of year is an excellent way of getting the garden ready for the winter. 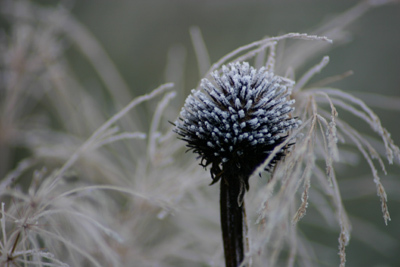 You are absolutely forced to clear every weed and leaf from the borders and to cut back perennials to give you debris free ground on which to position the bulbs ready for planting. There is something very beautiful about drifts of unplanted tulip bulbs, perfectly placed, glinting softly in the autumn sunshine in the exact positions where the vibrant blooms will appear in April or May. I like to plant tulips in teardrop-shaped drifts, daffodils in clumps and alliums dotted through borders in a continuous sine wave shaped line from the front to the back of the border along its length. 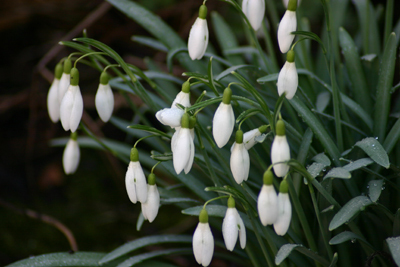 I use snowdrops and crocuses near front doors, along driveways and close to the house. They look particularly good on banks and under trees too, but the squirrels love them, so watch out! Cyclamen hederifolium is perfect for under acers when the timing works perfectly. You will just get the autumn leaf colour when they come into flower and then the fallen leaves form a colourful carpet beneath. I plant daffodils in groups, in odd numbers. I particularly like dwarf and miniature daffodils for containers. A couple of my favourite dwarf varieties are the bright yellow Tete a Tete which is an excellent naturaliser, and the less common Elka, a delicate free flowering little daffodil with milky white pointed perianth petals and a creamy yellow trumpet that fades to creamy white. 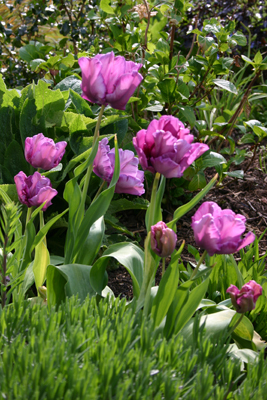 For large borders, I love mid-season tulips for their bold colour in April and May. They have strong stems and are therefore weather resistant and give you the opportunity to have some fun with colour. Try Annie Schilder, a stunning soft orange flushed with pink merging to golden orange at the edges of the petals, with a very dark stem that contrasts beautifully. I also love the apricot orange of Apricot Foxx, the petals are flushed with salmon pink on the outside and merge to soft apricot yellow at the edges. New Design is another favourite. It has a soft yellow flower merging into light pink towards the edges of the petals that are outlined in rosy red. It also has unusually attractive foliage that has a silvery edge with a flush of soft pink. Or for a really zingy deep fuchsia pink, try Barcelona, it is spectacular. If you are a purist and simply must have white, White Dream is a lovely example of a classic rounded bloom and long lasting too. If you are going to choose one single allium, Purple Sensation is always a great addition to the June border. But if you want to try something a bit more unusual, plant Allium cernuum, with pendant pink flowers on near black stems, or Allium Hair which is just like sphaerocephalon with long, irregular fresh green stems emerging from its rich reddish-purple centre. Both are lovely in large planted containers for an early summer display and make good talking points too! 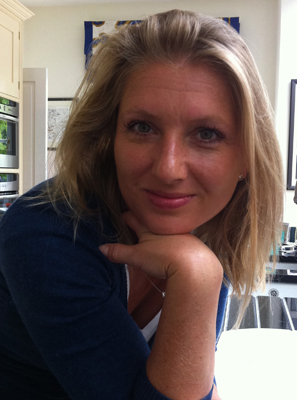 Jo McGhie is a garden designer working in London and Surrey. Her work ranges from small town courtyards to large country gardens, creating spaces that are practical and beautiful, each one reflecting the personality and individual requirements of the client. She specialises not only in design but in project planning and implementation. Her real passion lies at the end of the building process when it is time to plant every tree, shrub, perennial and bulb personally. Sundials were less fashionable during the 18th C when wide and open landscape gardening was the fashion. 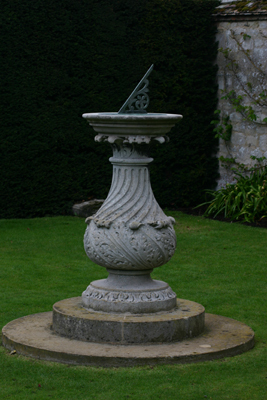 A sundial would in Tudor times have been the centrepiece for a parterre or knot garden. 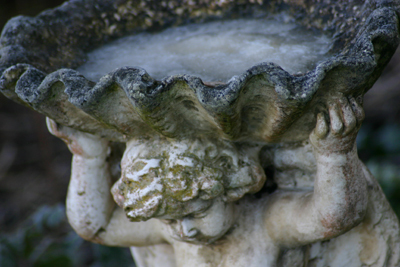 Fine examples of sundial pedestals and dials can be found in all the most important gardens of our land. None more so than at Anglesey Abbey in Cambridgeshire. This pedestal is particularly stunning with a very pretty dial. 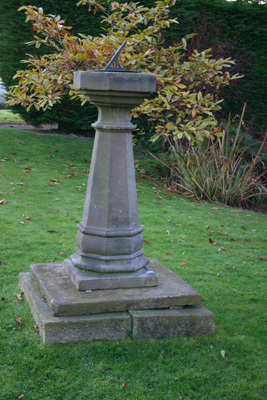 Mostly the English style of sundial pedestals was the round or square baluster, carved with decoration. The Scottish ones tended to have a wider top on a slender column. More of an obelisk. You can still also find ones with lead figures holding the plate for the dial. These too hark back to the 18thC when lead was a very popular medium in garden ornaments. Sundial pedestals and dials do not have to be very costly to get a taste of these wonderful garden ornaments. We currently have a couple of examples at differing ends of the scale. 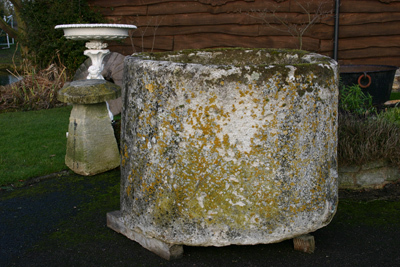 A simple square pedestal with a more modern dial which has real presence and would be a fine centerpiece in a smaller garden or smaller area of a garden. A larger example is this sandstone sundial pedestal on its stepped base which is quite something, classic shape and silloette for a much large space. It has a lovely old 12in bronze dial signed Ben Scott of London. We currently also have a really magnificent larger dial - 14in signed B. Martin of London which is waiting for the right pedestal. I have to admit to having signed J’s Pots & Potted Gardens up to a Twitter account. I was reliably informed that this was a good move to make. I have yet to really understand why! - I’m hoping someone will enlighten me. As you will have guessed, I have little knowledge of Twitter at all and am struggling to work out whether it will be a good tool for our customers. I will ‘Tweet’ occasionally on behalf of J’s Pots with any potentially interesting news just in case. Please let me know if you find this of any use at all. 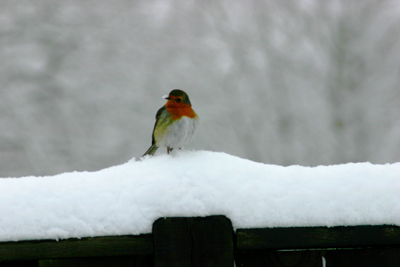 We can be found under J’s Garden Antiques at https://twitter.com/Jsgardenantique – why not become our first follower. RHS Chelsea Flower Show at the end of May - Our stand is in a new location for the RHS Centenary Flower Show. Out of Pavilion Way and In to Royal Hospital Way. Basically instead of being behind the large garden in Royal Hospital Way, we will be pretty well in front of it backing on to the Royal Hospital. Our stand is RHW/18. Show dates 21st to 25th May. We will be at the Hampton Court Palace Flower Show as usual - no stand yet allocated. "Oh that we might learn a lesson from the sundial! It tells only the sunny hours of the day, but the human tongue is all too quick in the telling of a tale that casts a shadow over the radiance of life. Do not dwell in thought upon the things of darkness. Brood not upon the remembrance of old sorrows and old regrets. Be like the sundial and speak only that which gives light, recalling the sunshine, not the shade. From a French farm where it had originally been used as a store for produce - cereals of some kind. It would have been located in the farm house itself or in a the cattle barn protecting the grain from vermin. This is hand carved and could be as much as 400 years old. This one is a particularly large one in fabulous condition. It has been in a garden for some time now and has this great depth of colour to the stone. It would make the most wonderful planted trough or water feature. A little piece of history and a truly beautiful item. 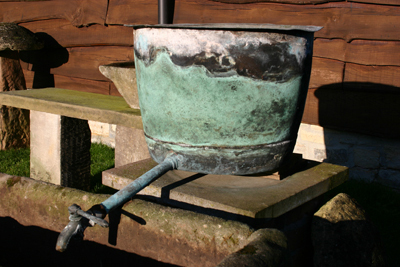 This is one of several coppers we currently have in stock with a really lovely verdigris colour to the metal. They are all from the UK. This one, more unusually has a long tap on it. Originally these coppers were water tanks in houses with or without a tap. They look at their best planted up, I have daphne growing very successfully in a large one. They look great with spring builbs - particularly tulips. The also make great pools. Let me know if you would like me to source specifically for you.